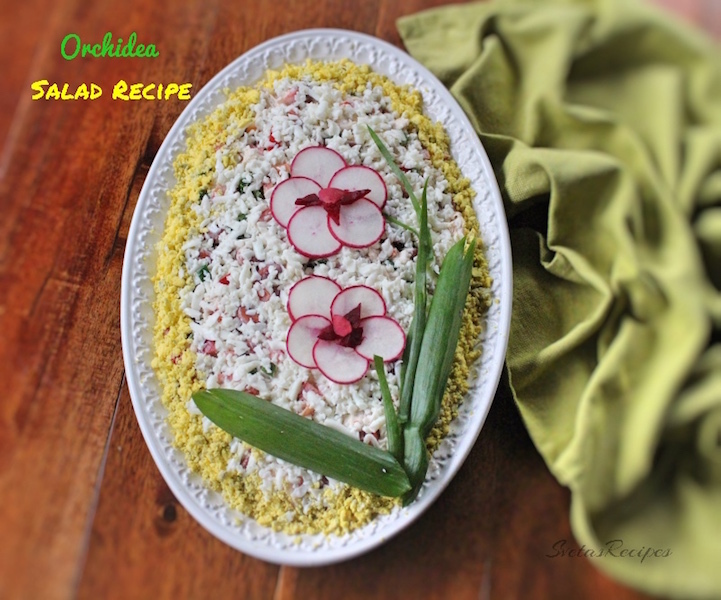 This is a holiday appropriate salad that taste great and includes cheese, red beens, pepper and much more. 1.) Dice your chicken breasts, red peeper, and scallions. Next place these ingredients into a large bowl. 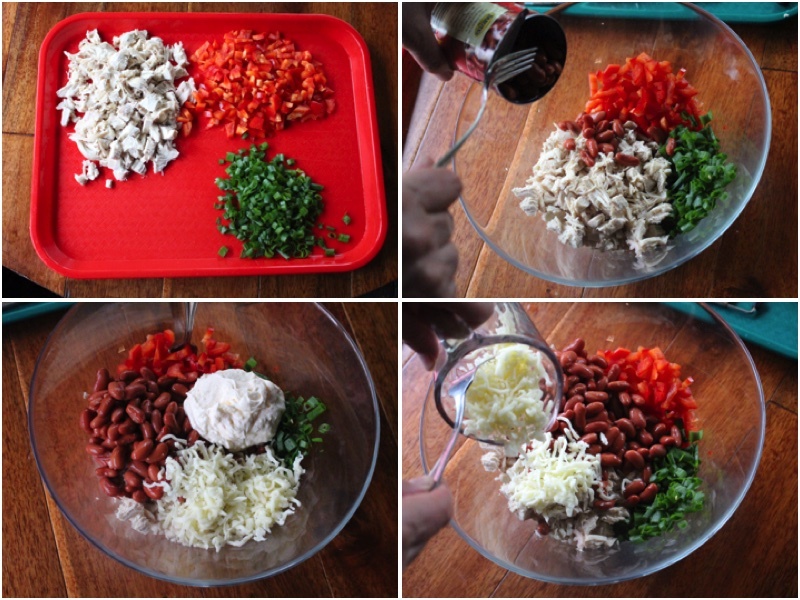 Also add Red Canned Beans, cheese and mayonnaise. 2.) Mix together, place on you’re serving dish and enjoy. Dice your chicken breasts, red peeper, and scallions. Next place these ingredients into a large bowl. 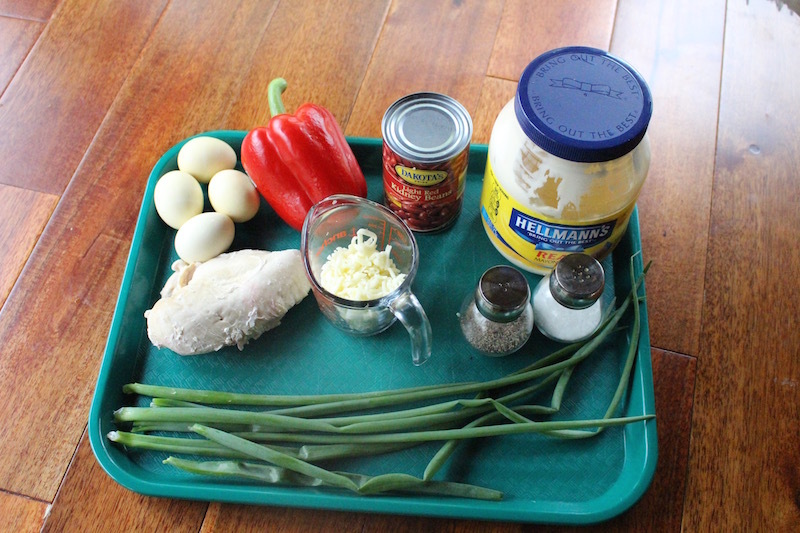 Also add Red Canned Beans, cheese and mayonnaise. 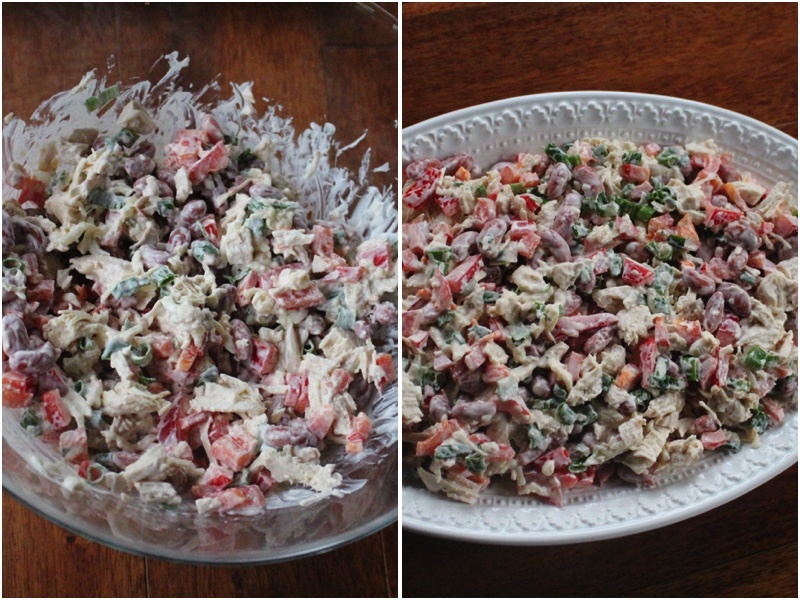 Mix together, place on your serving dish and enjoy.